Philip Lawes, founder and president of Laguna Beach, CA-based Insoltech Solar, has been in the solar power business for 34 years. He is a designer and consultant for renewable power systems such as solar photovoltaic systems. Although based in Southern California, Lawes has installed renewable energy systems in various parts of the world including the Caribbean, Mexico and the South Pacific, as well as in the California desert areas. Smallcapworld: How did you get into the solar business way back in the 1970s and what was your first solar job? Lawes: It was a solar hot water system. That’s all there was back then in the late 1970s that was financially viable. Solar power has been around for a long time. The photovoltaic cell was developed by Bell Labs and the first applications were for space and to power communications satellites. But it really kicked off during the second energy crisis in 1978. Saudi Arabia basically cut off all our oil and gas prices skyrocketed. Remember the long lines and high gas prices? There was an “energy crisis” and everyone started looking for alternative energy sources. President Carter helped boost the solar business by creating large financial incentives through generous tax breaks. Q: Which companies were making the solar panels back then? A: A lot of companies got into it, but they were mostly small companies, many based in Europe, making solar thermal collectors. It was mostly about heating water to reduce natural gas bills and in some cases electric bills, if you had electric heating. Q: When did you get into photovoltaics? That would be in the 1980s. I did a lot of work in Baja California, in and around Cabo San Lucas. I worked for expats in the area, for their small palapas and for pumping water on their ranches, for their cattle or other needs. The idea was to generate electricity in remote areas where utility power was not available and the cost to run diesel-powered generators was prohibitive. A: I built a solar electric system for a small resort called Papageno in Fiji. Just a few years ago I also designed and built a solar electric system for Johnny Depp for his private island in the Bahamas. I was also a subcontractor for a 1.3 million watt system for the Twenty-Nine Palms Marine Corps base in the California desert. And I built a small solar energy water pumping system for the Irvine Company here in Southern California to provide water for an endangered species. We are working on a custom home in Shady Canyon now, an exclusive area of the Irvine Ranch. 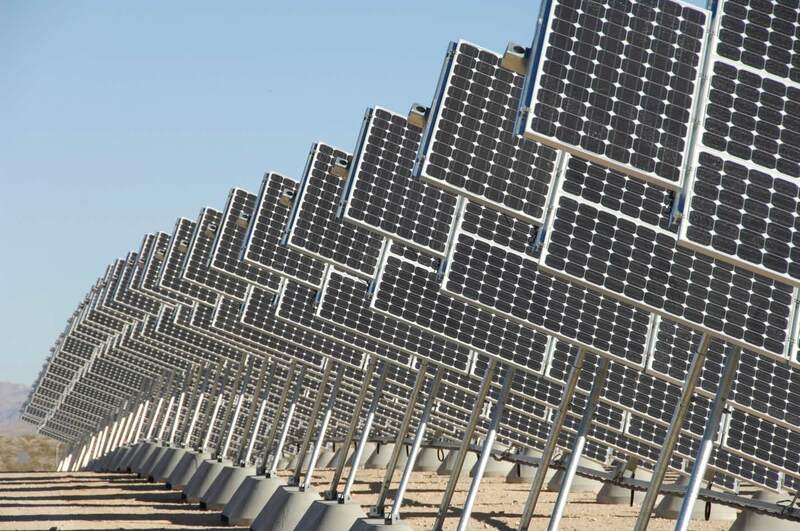 Q: There are many different types of solar arrays now available. Which are best for the average homeowner? 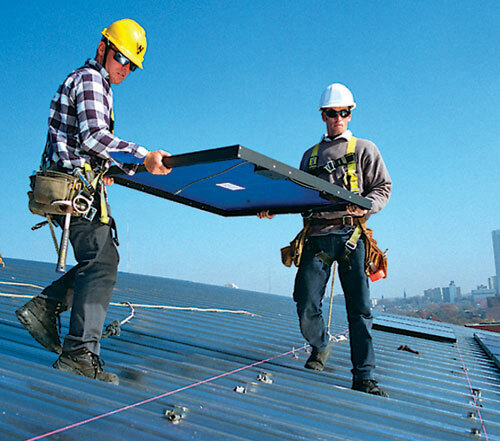 A: The typicial, flat-plate, mono- or poly-crystalline solar modules are still the workhorses of the industry. They are scalable, maintenance free and offer excellent warantees and still the best route for average homeowners. Thin film modules are not as efficient so they require more area. And companies are still having problems getting the manufacturing process down. People got into thin film because they thought they could manufacture them cheaply but that hasn’t really happened yet. And no one anticipated that the standard modules would come down in price so much. Q: Are there American companies that are able to compete with the Chinese in the manufacture of solar modules? A: Oh sure. FirstSolar is a thin film manufactuer, the only really successful thin film manufacturer. SunPower is an American company and has a very efficient module built with great technology but they manufacture offshore, primarily in the Phillipines. Helios is based in Wisconsin and has been successful making solar modules. But there has been, and will continue to be, lots of attrition. Some companies are even selling their modules at a loss. Q: Why do some companies like Helios succeed, while others like Evergreen Solar and Solyndra fail? A: Solyndra stepped out of the box and tried a very different approach and ultimately had too many problems. Their idea was to build little glass cylinders with thin film cells inside. They were light weight and didn’t require ballasting, but I believe they had a lot of breakage and lots of other problems in production. Ultimately, they didn’t anticipate the dramatic decrease in price of today’s standard workhorse mono- and poly-crystalline modules. Evergreen had a different approach, called ribbon technology. My take is that they couldn’t approve on the efficiency of the modules enough, couldn’t get enough volume going and couldn’t compete with the big guys from China and Germany. Helios is successful so far, but who knows, we could read tomorrow that they are in trouble. But they do provide the old standard modules people want and a lot of people just want to buy American only, which helps them. I think SunPower makes the highest efficiency module of all. Q: You say you helped do an installation at a Marine base. Why is the military getting into solar? A: There have been mandates from the Department of Defense, one of the largest if not the largest user of electricity in the country, and they are looking for ways to do things cheaper. In many cases these military installations are out in the middle of nowhere and it’s a cheaper alternative than using diesel generators. They also want to be autonomous, and have security. That’s why they are also looking at biofuels. They want to use stuff we grow ourselves instead of relying on outside sources. Q: How is solar power progressing in other countries, like the emerging parts of the world? A: The emerging nations are finally beginning to grasp the value of renewable energy. Cuba has lots of solar, so do the Virgin Islands, and Hawaii as well because they have to import their fuel. Many parts of the world don’t have coal, natural gas or hyro power. It’s all about diesel-fired generators. It’s all about what they call grid parity. That’s the holy grail. If you can product power at a lesser cost than what they charge. 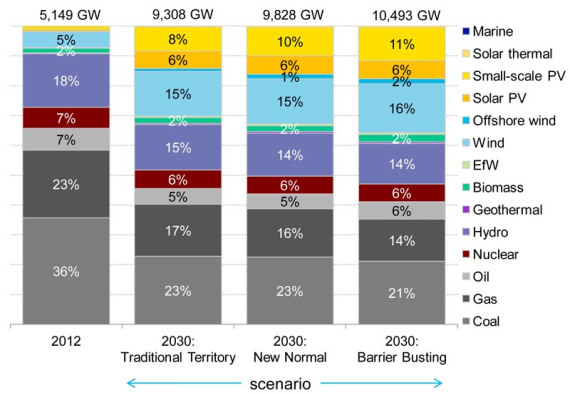 Grid parity is now in places like the Bahamas, but it all depends on the particular area. Q: How long does it take the average residential installation to pay for itself in terms of decreased or eliminating energy bills? That really depends on your location. There are so many variables like which utility is in the area and what the rates are and what rebate programs they offer. In Southern California, with large homes and large usage like the tier 4 and tier 5 users, it’s about 5-7 years. But in places like Hawaii that doesn’t have coal-powered plants or hydro and electricity is very expensive, but there’s plenty of sun, the payback can be quicker. Q: What are the chief maintenance problems with a home system? Do you need to have special insurance to cover the installation on the roof? My main expertise here is California, which doesn’t have extra insurance, in fact they make it mandatory to not charge extra insurance. But as California goes, so goes the rest of the country, typically. The chief maintenance problem is keeping the modules clean. Again, that depends on where you live. Actually, it’s easier on the East Coast where they get more rain. In California, where it can go months without rain, it can be difficult to keep them clean, particularly if you live near a construction area that is generating lots of dust. It’s good to wash them every few months. Have a window washer do it if you can. For the U.S.-based solar power industry, the news on May 17 was what many panel manufacturers had been looking for: the U.S. Commerce Department announced it was slapping a high tariff on solar panels from China (http://www.nytimes.com/2012/05/18/business/energy-environment/us-slaps-tariffs-on-chinese-solar-panels.html?ref=business). While it was certain to “infuriate” Chinese officials, according to the New York Times, just how good the news was for the industry was hard to tell. More importantly for our blog, what does this decision to impose antidumping tariffs of more than 31 percent on solar panels from China mean for solar stocks? Based on the early reactions of the stock market and the fact that the overall market has been hit so hard in recent days, the results are difficult to read. First, however, some of the fine print. This is a preliminary decision , not set in stone, and it won’t actually go into effect until October, if at all. There is some talk that it would be retroactive to February 2012, however. Second, solar panel manufacturers based in Taiwan, like AU Optronics Corp., which has become a big player in the thin film solar panel business, won’t be affected. Third, some of the Chinese manufacturers like Trina Solar (which has moved its manufacturing outside of China and won’t be affected) and Yingli announced that their retail prices would not be affected by the tariff. So it will be interesting to watch what the Commerce Department actually does, what it all actually means and how the market reacts. In the meantime, here are how some randomly chosen solar stocks closed on Friday, May 18, a day after the news broke. If there were real winners, like U.S.-based First Solar and SunPower, it was hard to tell by stock price. Most of the China-based companies took an initial hit, but then stabilized. Tempe, AZ-based First Solar (Nasdaq: FSLR, http://www.firstsolar.com), which specializes in thin-film solar modules, continues a drastic slide that began a year ago. Many insiders say their costs are just too high and margins too low to stop the decline. FSLR, which traded as high as $142 last summer, has fallen all the way down to small cap territory. It closed May 18 at $13.66, down $1.26 for the day. It’s market cap is only $1.2 billion. Ontario, Canada-based Canadian Solar (Nasdaq: CSIQ, http://www.canadian-solar.com ), which sells a variety of solar products, has seen its stock price stabilize since December. Last summer CSIQ traded for over $12 but by late August it had dropped to about $6.75. It closed May 18 at $2.70, down 25 cents on the day. Market cap is now $117 million. 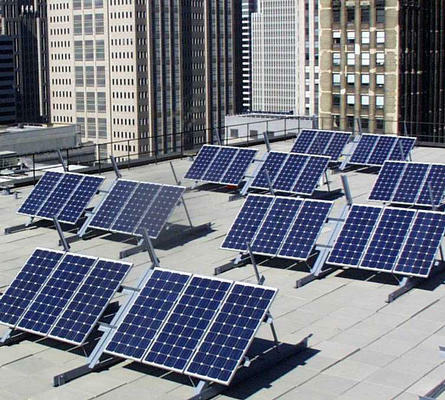 San Jose, CA-based SunPower Corp. (Nasdaq: SPWR, http://www.sunpowercorp.com) makes a wide variety of solar products and systems. Like the rest of the industry, SPWR stock is now trading near the bottom of its 52-week range ($4.94-$23.36) and its market cap has dropped to $601 million. SPWR closed May 18 at $5.08, down 51 cents on the day. China-based Suntech Power Holdings (NYSE: STP, http://www.suntech-power.com/), makes photovoltaic products and provides construction services. STP stock tanked on the news, tried to rally back briefly early in the day May 18, but ultimately closed at $2.00, down 13 cents on the day. China-based LDK Solar Co. (NYSE: LDK, http://www.ldksolar.com/)) manufactures solar products and silicon materials. LDK, which was trading for nearly $5 in late December, closed May 18 at $2.85, down 6 cents on the day. Its 52-week range is $2.54-$7.90 and its market cap is $373 million. China-based Trina Solar Ltd. (NYSE: TSL, http://www.trinasolar.com/)) designs, manufactures and sells photovoltaic modules worldwide. It has a chart similar to many of the other solar stocks, which reached highs last summer but have been sliding for the most part since. It closed last Aug. 31 at $15.88 and by Dec. 23 it had dropped to $7.39. It closed May 18 at $5.70, down 38 cents on the day. Market cap is now $464 million. China-based Yingli Green Energy Holding Co. (NYSE: YGE, http://www.yinglisolar.com) makes photovoltaic products including cells, modules and systems. YGE’s 52-week range of $2.75-$9.85 and its market cap is now $396 million. Like most of the other solar stocks, its best days were last summer. It closed May 18 at $2.52, down 28 cents on the day. Don’t feel too badly if you are having trouble understanding the ups and downs of the solar industry. Take the Dec. 15 Business section of the Los Angeles Times, for instance. Right above to the headline “Grand Jury Investigating Solyndra,” and yet another story outlining the high-profile bankruptcy of the Fremont, CA solar panel maker despite $535 million in federal aid and $1.1 billion in venture capital backing, was another headline “Record Gains for Solar Industry” and a story noting that “solar power is a booming business in the U.S. ” along with statistics demonstrating the truly staggering growth of solar installations across the U.S. (http://www.latimes.com/business/la-fi-solar-growth-20111215,0,5390004.story). But then you flip forward a few pages and there’s another report about solar panel maker First Solar, which fell 21.4 percent to $33.45 on Dec. 15, its lowest level in four years, after announcing its second restructuring in six weeks. First Solar, long considered a solar success story and the world’s largest solar company based on market cap (although its market cap has fallen almost 75 percent this year), released an earnings warning Dec. 14 suggesting that “downward pressure on solar panel prices and profit margins will continue ‘indefinitely,” according to the Financial Times. The company’s basic problem is that there are too many solar panels on the market and countries in Europe, where solar is very popular, are cutting subsidies and will continue to do so. “If you’re making solar modules, it’s very dicey out there. The prices keep going down, down, down,” said Philip Lawes, chief executive of Laguna Beach, CA-based Insoltech Solar. But just go back a few weeks and you can read the reports about Google investing millions in solar power, and then there was last week’s news about Warren Buffett getting into the solar business for the first time. MidAmerican Energy Holdings, a unit of Buffett’s Berkshire Hathaway Inc., purchased the Topaz solar farm in California’s San Luis Obispo County from First Solar. Terms were not disclosed but the Wall Street Journal suggested Topaz was worth “more than $2 billion. If you scan the news further, you’ll see that Buffett isn’t the only one jumping into the solar farm business. First Solar and SunPower Corp. have been unloading their solar farms to some of the U.S.’s biggest utilities, including NextEra Energy, NRG Energy and Exelon Corp.
Lawes said the big investors like Buffett see long term income in the large solar farms. Google and KKR must agree, since they recently announced a joint investment in four solar farms south of Sacramento, CA. 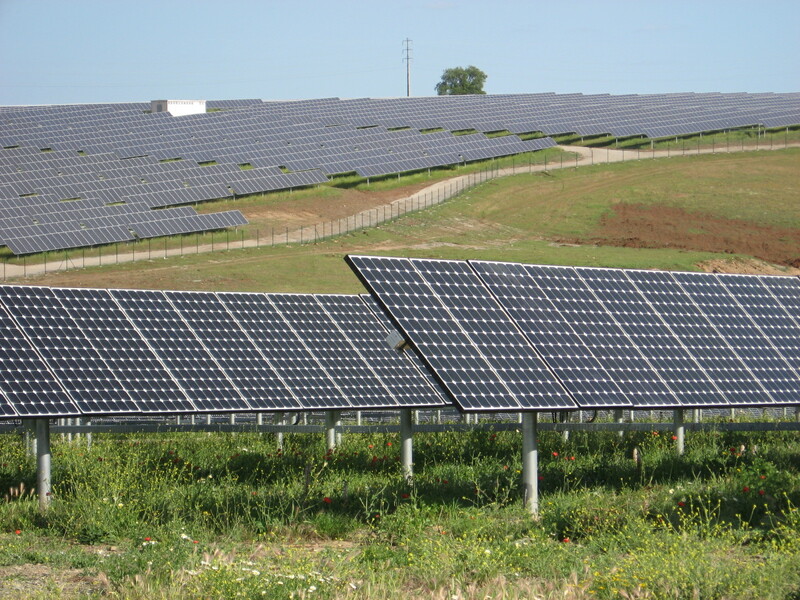 The deal allows the solar farm developer and operator, Recurrent Energy, to raise cash and fund future solar farms. Recurrent has a 20-year contract with Sacramento Municipal Utility District to supply electricity to power 13,000 homes, according to a story in the Wall Street Journal. There’s also opportunities for small investors, Lawes added. Entrepreneurs are approaching owners of commercial buildings offering in some cases to pay 15 cents a square foot for the use of their roofs. The entrepreneurs then install solar and sell the power to utility, just like the big guys with the big farms. “Typically, they just need a flat roof,” he said. So, other than the big guys like First Solar, how are the smaller solar companies faring? Not that well if you are in the solar panel business. China-based Suntech Power Holdings (NYSE: STP, http://www.suntech-power.com/), a smallcap that has boosted its market cap up to $423 million market cap in recent weeks, makes photovoltaic products and provides construction services. This stock closed on Oct. 20 at $2.07. By mid-day Dec. 23 it was trading at $2.34. Ontario, Canada-based Canadian Solar (Nasdaq: CSIQ, http://www.canadian-solar.com/), which sells a variety of solar products, continues to decline. Back in late August it was trading for $6.74. At mid-day Dec. 23 it was trading for $2.85. China-based LDK Solar Co. (NYSE: LDK, http://www.ldksolar.com/)) manufactures solar products and silicon materials. It, too, has bounced back from lows in late October of around $3. At mid-day Dec. 23 it was trading for $4.91, much closer to the highs of nearly $6 in late August. China-based Trina Solar Ltd. (NYSE: TSL, http://www.trinasolar.com/)) designs, manufactures and sells photovoltaic modules worldwide. It’s now trading for less than half its Aug. 31 close of $15.88. By Oct. 20 it had declined to $7.15. It’s up from there, but not much. At mid-day Dec. 23 TSL stock was trading for $7.39. products and has hit by the downturn. On Aug. 31 its stock closed at $3.66; by Oct. 20 it closed at $2.14; at mid-day Dec. 23 it was trading for $1.39. With Solar Power’s Future So Bright, Which Solar Stocks Are Oversold? All the noise about the bankruptcy of privately-held Solyndra, despite the reported $535 million federal loan guarantee, could lead some to think that the solar industry is in trouble. That would, of course, be spectacularly wrong. While shares in the publicly-traded solar equipment makers have been falling since Aug. 31, the day the bankruptcy was announced, the future of solar power has never been brighter, according to many experts including NRG President and CEO David Crane. He told Jim Cramer on CNBC Sept. 20 that while price of solar panels has dropped “ precipitiously…within three to four years, the cost of solar power in at least half of the states in the U.S. will be less than drawing power off the grid.” Crane also added that solar panels represent “a billboard for what you stand for as a business owner. NRG is working with the Washington Redskins to build a 2 megawatt solar installation and solar plug-in stations in the parking lot of their stadium. As has been noted recently, the problems Solyndra experienced were unique to the company and solar panel equipment makers in general. Basically, its solar panels were too expensive and cost more to install than its competitors. Yahoo News reported that the price for solar panels has dropped by about 42 percent this year alone due to, you guessed it, competition from China. The problem with picking solar stocks, particularly the solar panel and equipment makers, will be finding which of the group will survive and enjoy the promising future of solar power. Let’s take a look at the stocks of several solar equipment makers and see what they have done since Aug. 31, the day the long anticipated Solyndra bankruptcy became official. They have all fallen sharply, but have they been oversold? If so, which ones? One of the larger solar companies Tempe, AZ-based First Solar (Nasdaq: FSLR, http://www.firstsolar.com/), the world’s largest maker of thin-film solar modules with a $6.5 billion market cap, hit a four-year low Sept. 22, dropping all the way down to $66.85, then “rallied” on Sept. 23 to $70.24. First Solar’s most immediate problem is apparently its own federal loan program, which is facing new scrutiny due to Solyndra’s problems. FSLR sold for more than $100 as recently as Aug. 31 but has been mostly falling since that day when it lost $1.95 and closed at $99.98. China-based Suntech Power Holdings (NYSE: STP, http://www.suntech-power.com/), which makes photovoltaic products and provides construction services, was trading for $5.25 on Aug. 31. On Sept. 23 it closed at $2.64, down 7 cents for the day. Ontario, Canada-based Canadian Solar (Nasdaq: CSIQ, http://www.canadian-solar.com/), which sells a variety of solar products, was trading for $6.74 on Aug. 31. It closed Sept. 23 at $4.72, up 31 cents on the day. China-based LDK Solar Co. (NYSE: LDK, http://www.ldksolar.com/) manufactures solar products and silicon materials. On Aug. 31 it closed at $5.71 and by the close of market Sept. 23 it had dropped to $3.40, down 7 cents on the day. China-based Trina Solar Ltd. (NYSE: TSL, http://www.trinasolar.com/) designs, manufactures and sells photovoltaic modules worldwide. Its closing price Aug. 31 was $15.88, while on Sept. 21 it closed at about half that price, or $7.69, up 25 cents. Shanghai-based JA Solar Holdings Co. (Nasdaq: JASO, http://www.jasolar.com) makes solar cells and other solar products. It closed the trading day Aug. 31 at $3.66. On Sept. 21 it closed at $2.20, up 10 cents on the day. Is a Solar Shakeout on the Horizon? Barron’s weighed in again March 14 on the outlook for solar stocks, and the news in most cases is not good. Under the headline “Should Solar Bulls Be Such Grumps?,” writer Tiernan Ray suggests that given the surging price of oil and the better-than-expected year-end results turned in by most solar companies, one might expect stock prices to be rising. But that’s not the case for the majority of the pack, other than the two best performers, First Solar and SunPower. With a $1.32 billion market cap, SunPower is just outside our $1 billion ceiling for smallcap stocks and of course First Solar is a solar giant with a more than $12 billion market cap. For investors, the problems with solar stocks seem to be oversupply and the outlook for government subsidies in our current belt-tightening times. With governments all over the world ratcheting back, investors are concerned that those subsidies, which the young industry has relied on, will be among the cuts. Ray, however, suggests that might ultimately be a good thing. 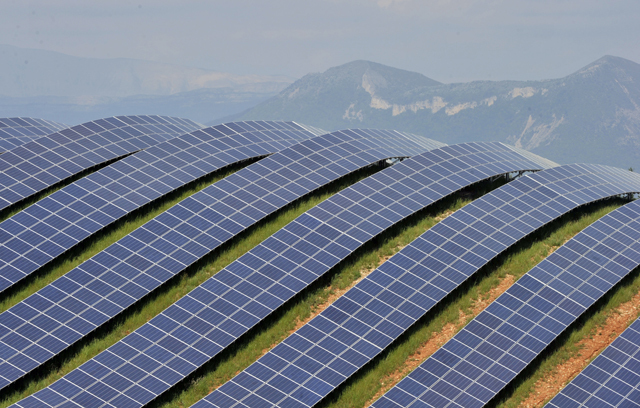 A global solar industry shakeout might help separate the good companies from the bad, he says. Herb Greenberg of CNBC agrees. While solar stocks were “on fire” March 14 in the wake of the Japanese disaster and “headlines about nuclear uncertainties,” Greenberg and solar bear Gordon Johnson of Axiom Capital also warned about the expected cuts in solar subsidies. Japan had been expected to offset solar declines in Italy and France, but that may not occur given the serious issues related to the earthquake and tsunami. China-based JA Solar Holdings (Nasdaq:JASO, http://www.jasolar.com/) is a photovoltaic solar cell manufacturer that was up more than 6 percent March 14 on the Japan news to $6.69 but started to back off in after hours trading. JASO, with a market cap of about $1 billion, has been as high as $10.24 in the past 12 months but was one of several solar stocks downgraded by Piper-Jaffray, due in large part to concerns about future subsidies. Marlboro, MA-based Evergreen Solar (Nasdaq: ESLR, http://www.evergreensolar.com/) uses its proprietary wafer manufacturing technology in its String Ribbon solar panels. ESLR has been struggling and, as noted in Barron’s, it has never made a profit and is facing a cash crunch, which prompted a recent sell rating from JP Morgan. The stock traded for more than $7.50 a year ago but has been on a downward slide ever since, closing March 14 at $1.68 a share. The MAC Solar Energy Index (NYSEarca:TAN) is made up of common stocks, ADRs and GDRs and on March 14 had net assets of $188 million. As Greenberg notes, it was one of the solar stocks enjoying a run March 14 on the Japanese news but had fallen nearly 20 percent in recent weeks. Ontario-based Canadian Solar (Nasdaq:CSIQ, http://www.canadian-solar.com/) manufactures and markets solar cells and solar module products in Canada and interntionally. CSIQ, which has a market cap of $461 million, was one of the “downstream” solar stocks hit by the Piper-Jaffray downgrade and it dropped 2.7 percent to $10.75 March 14. The stock has traded for as high as $26.26 in the past 12 months but is off its 12-month low of $8.99.